Getting my nails done every so often is the best feeling in the world and any fellow nail addict will understand. Now that autumn is well and truly in full swing the nails are reflecting that. Annoyingly, the nail salons always have more summer and bright colours then they do dark colours - whats this about?? Still managed to find one though didn't I but the name baffles me - its by OPI called Got the Blues for Red. 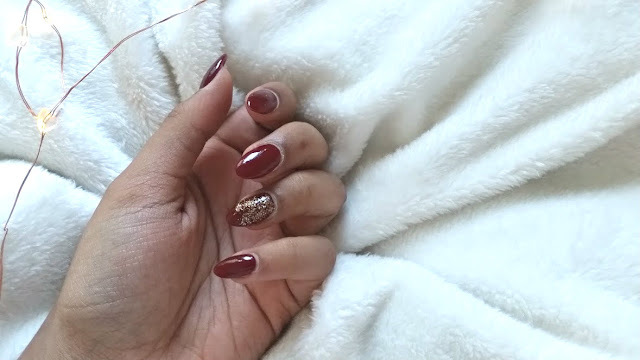 What's on your nails at the moment? !